See the amazing Divrei Yonah below at bottom, courtesy of Rabbi Chaim Lando! And I have already expounded to Galus Yerushalayim in Spain (Sefarad) and the other Galuyos under Christianity (Edom), that now that the Galus has lasted too long a Jew must separate himself from the frivolities (Hevlei) of the world and grasp the seal of Ha'Kadosh Baruch Hu, which is Truth, and not lie, neither to Jews nor to non-Jews, nor to deceive them in any matter, and to sanctify ourselves even in that which is permissible to us, as it says (Tzefani'a 3:13): "The remnant of Israel will not commit foul deeds nor speak falsehoods, nor will there be found in their mouths treacherous tongues." And then, when Ha'Kadosh Baruch Hu comes to redeem us the non-Jews will say that He is just in doing so, for we are men of truth and Toras Emes is in our mouths. But if we conduct ourselves towards the non-Jews with deceit (Rama'us), then they will say: "See what Ha'Kadosh Baruch Hu has done, that He has chosen as His portion thieves and cheats." Furthermore, it is written (Hoshe'a 2:25): "And I will plant them in the earth." Why does a person plant a measure of grain in the earth? In order to cultivate several measures. So too Ha'Kadosh Baruch Hu planted Yisroel in the various lands so that converts would join us. As long as we conduct ourselves amongst them with deceit who will cling to us? And, we find that Ha'Kadosh Baruch Hu was upset even by theft from evildoers, as it says(Bereishis 6:11): " And the land was filled with theft (Chamas)." 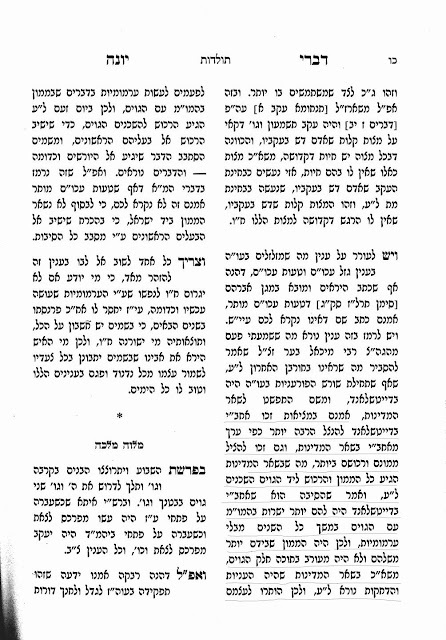 Further, I bring proof from the Yerushalmi Chapter Eilu Metzi'os (Halocho 5), where it says: "The elder rabbis (Rabbanan Savi'ai) bought a measure of grain from non-Jews and found within it a bundle of money. They returned it to them, and the non-Jews said: 'Blessed is the G-d of the Jews.'" 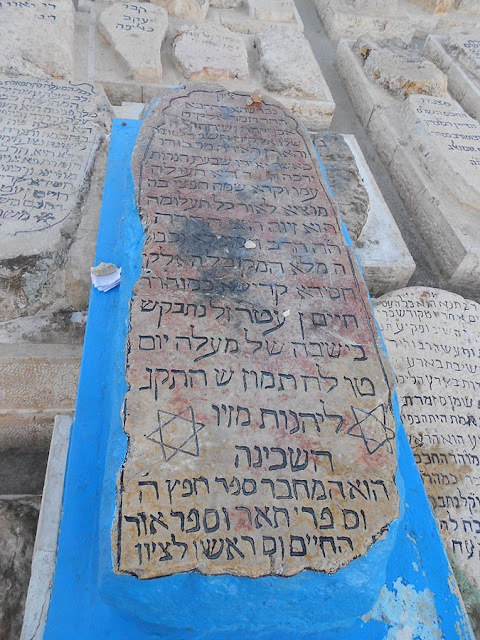 Many similar stories of lost items that were returned to non-Jews because of Kiddush Hashem are related there. My latest published article, a book review in the current issue of Jewish Action. מאידך, הרב יוסף אליהו הענקין תקף בחריפות גישה זו כפי שמובא בספר תשובות איברא סימן קט"ז. "ועוון פלילי מצד אותם המטיפים הפטפטנים שדורשים תמיד 'הלכה הוא שעשו שונא ליעקב', והשנאה עולמית. זה נגד האמת ונגד חז"ל והמקרא, שעשו גופא לא הי' רשע תמיד ושנאתו פסקה על ידי הנהגה מתאמת וכמו עשו הראשון כן הם ג"כ דורותיו שהכנעה מביאה לשלום, וזהו שאמר בן זומא (אבות פ"ד מ"א) 'איזהו מכובד המכבד את הבריות', כונתו גם נגד האומות, כשמכבדים אותם ואומרים להם אוהבי אתה הם נעשים לאוהבים על ידי זה ולהיפך כשאומרים שונא אתה נעשים לשונא וזהו מעשים בכל יום". כלומר, לדעתו אין לראות במדרש זה קביעה כאילו ששנאתו של עשיו היא נצחית, אלא עשיו שינה את יחסו ליעקב לאורך חייו, ובאופן דומה גם צאצאיו של עשיו יכולים לשנות את יחסם לישראל מתקופה לתקופה. One of these two words means לכתחלה. The other means בדיעבד. The Korban HaEdah says L'Ma'aseh means L'Chatchilah and L'Halacha means B'di'eved. The Pnei Moshe says the reverse. Who's right? Who knows? But I'm inclined to the Korban HaEdah.